It is not easy for Muslim travelers to find appropriate food or prayer rooms in a non-Islamic country. 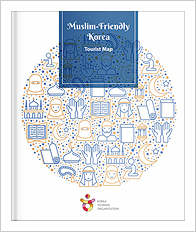 If you are concerned about cultural inconveniences during your travel to Korea, please make use of the following information provided by the Korea Tourism Organization (KTO), which is doing its best to make Korea a Muslim-friendly destination. 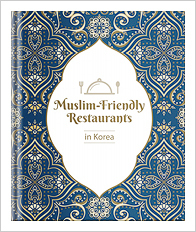 The Korea Tourism Organization categorized Muslim-friendly restaurants so that Muslim tourists can conveniently dine in Korea. Only restaurants that meet strict requirements have been selected and categorized into 4 groups. Restaurant is certified by an accredited halal certification agency such as Korea Muslim Federation (KMF). All food are halal. Restaurant is certified as halal by Muslim restaurant owners themselves. Some halal dishes are provided. Alcohol may be sold. Restaurant does not offer halal menu, but does not use pork. Alcohol may be sold. Pictograms: In each category, the following pictograms were used to show detailed restaurant information. Hotel restaurants/buffets categorized into "Muslim-friendly" may serve dishes that contain pork. Halal Restaurant Week is an annual event that promotes Muslim-friendly restaurants to tourists from all over the world. Hosted by KTO, this unique event will be a great opportunity to experience Korean halal food as well as cuisines from various countries such as Turkey, China, and Italy. 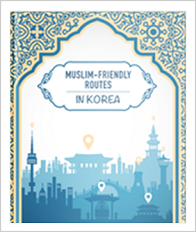 To make Korea a Muslim-friendly destination, the Korea Tourism Organization (KTO) encourages local governments and tourist attractions to prepare a space for prayer. Prayer mats and Quibla compasses have been distributed by KTO to hotels with multi-faith/prayer rooms.